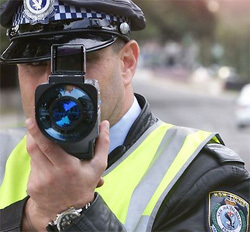 With Bluetooth connection to most mobile phones, why would you risk a $330 fine and loss of 3 demerit points or worse – serious injury? We will come to you and install your new car kit without damaging your car and have you talking safely! Don’t risk the fine or loss of demerit points. You need a Hands Free Car Kit. Having trouble parking? Then you need parking sensors. A reversing camera can make parking manoeuvres much easier and safer. Don’t risk a fine with illegal placement of your GPS. Press play. If this is you, call us now and save $330 and keep all of your points! In Queensland, the law states that drivers can only use their mobile phone while driving if they have a wireless headset or handsfree carkits. It is illegal to to use the speakerphone function of your mobile phone. Don’t risk a $353 fine and the loss of 3 demerit points from your licence (6 points for 2nd offence), or worse a serious accident!! Whether you are in Brisbane, or Gold Coast, we come to you either at your home or office! 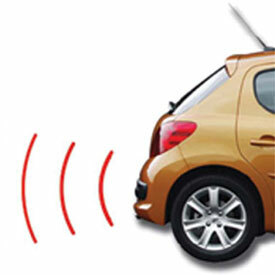 Don’t risk a fine or injury, contact DK Installations QLD and order your Hands free car kit today. Contact DK Installations QLD now and don’t miss that important call and more importantly better – Arrive home alive! At DK Installations QLD, we can supply and install all of your in-car communications requirements including Bluetooth Hands Free Car Kits, In-Dash GPS and DVD, reverse camera‘s and parking sensors without putting any holes in your dash or console. Servicing all of Brisbane, Gold Coast and all Capital cities we pride ourselves on integrity, reliability and trust, striving to meet the individual needs of all our customer’s. Our latest product, the BURY 9048 Bluetooth Car Kit is designed to be simple. Stream music and have crystal clear voice clarity. 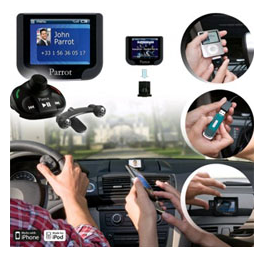 This Bluetooth Hands Free Car Kit works with all mobile phones including Apple iPhones, Nokia, Motorola, Blackberry and HTC. For a large range of Australian cars, the BURY 9048 Bluetooth Car Kit integrates perfectly into the vehicle’s radio . Once installed it becomes part of the vehicle as if installed on the production line – no more messy wires. Remember: it is illegal for all drivers to use a hand held phone when driving. The offence will incur a fine of $330 and three demerit points. For more information, speak to DK Installations today. Don’ t drive without us! At home or at work, we come to you!